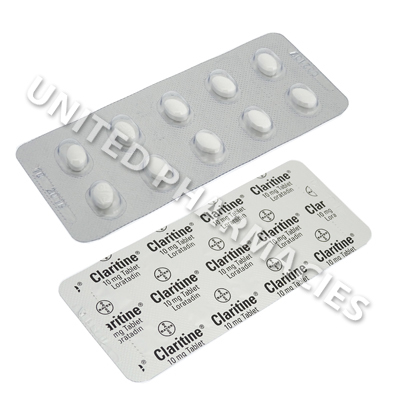 Claritine (Loratadine) is an antihistamine, which is commonly used to provide relief from hay fever (allergic rhinitis), year round allergies (perennial allergic rhinitis), chronic idiopathic urticaria and other allergy symptoms. Claritine (Loratadine) is an antihistamine, which is commonly used to provide relief from hay fever (allergic rhinitis), year round allergies (perennial allergic rhinitis), chronic idiopathic urticaria and other allergy symptoms. This medicine blocks the histamine receptors, thereby preventing the action of histamine (a natural substance produced by the body which causes allergy symptoms). As a result of this, symptoms such as sneezing, blocked nose and watery eyes are relieved. In addition to this, patients affected by chronic idiopathic urticaria may notice a reduction in the rash as well as less itchiness. 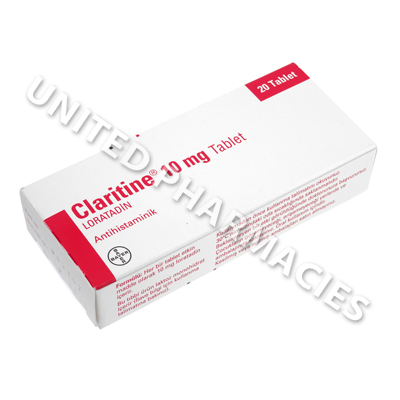 Claritine (Loratadine) comes in the form of tablets. You must visit your doctor to determine the proper dosage. In most cases, adults treating allergies such as urticaria or allergic rhinitis are directed to take a dose consisting of 10mg per day. Remember that you should never take more than the dosage prescribed by your doctor. Inform your doctor if you experience any side effects that worry you. In certain patients, severe reactions may occur, however, this is rare. Reactions which require immediate medical attention include seizures, a rapid heartbeat and feeling as if you may faint. Other reactions which have not been listed here may also occur. If you have a history of any diseases affecting the liver or kidneys, you must inform your doctor before taking this medication. Patients who are treating hives should note that immediate medical assistance is necessary if hives of a strange colour are noticed, or if any blistered or bruised hives are noticed. Always use Claritine (Loratadine) as you have been prescribed by your doctor. Never self-medicate or change your dosage without first consulting your doctor. The correct dosage can vary depending on your health, medical history, and the severity of the condition being treated.